Well, what a success!!! An all round good make ( translated that means something I might even consider myself!) and looks super stylish with a nice vintage vibe and love the colour. Suits you hugely!! 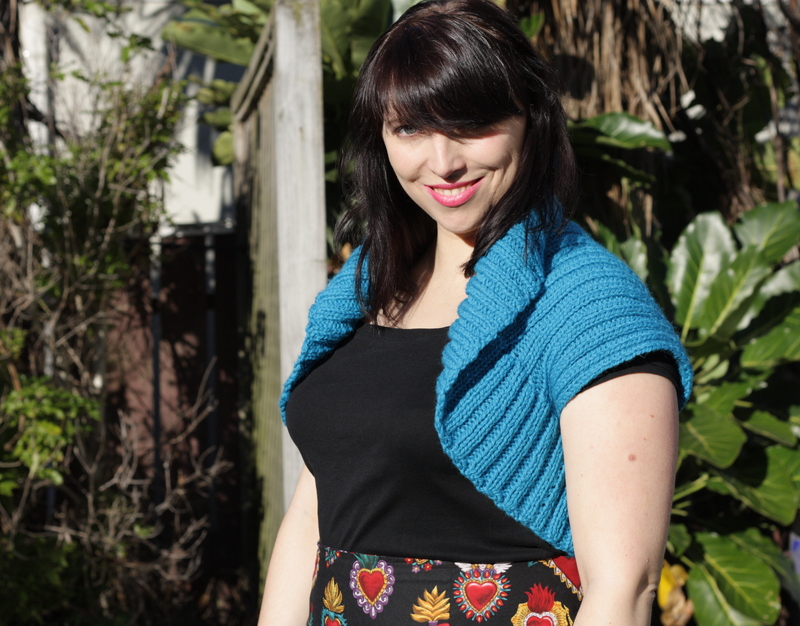 This is just beautiful Joy – the colour is perfect on you! totally catching up on no blog reading in AGES and this is the first post I read! Accidently found this pattern, I’d like to knit something quick. 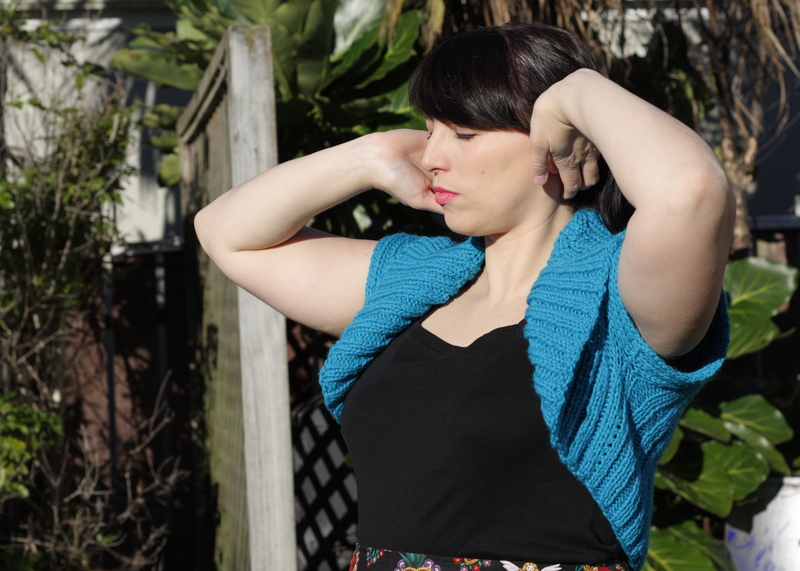 I just have a little problem in figuring out the exact shape of this shrug. I thought that is knitted in one piece! 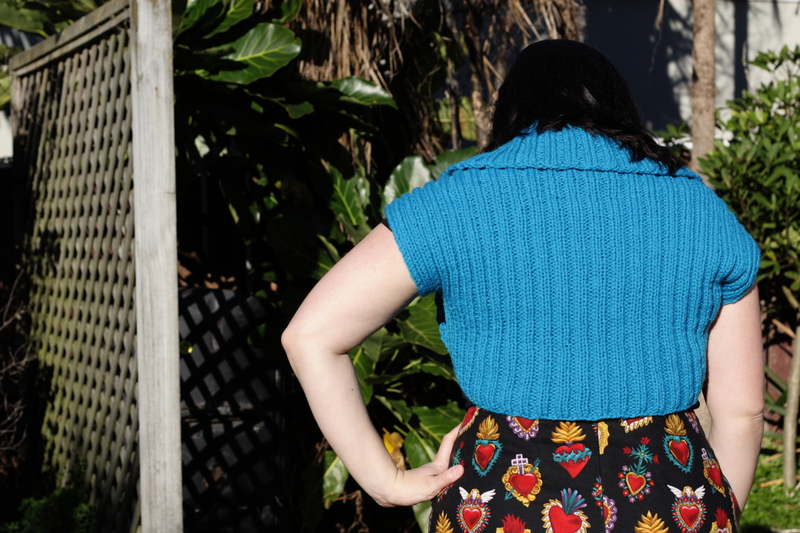 First I should knit the back, right? Then How the sleeves are done? Could any please help me out? Yes, it’s knitted in one piece! 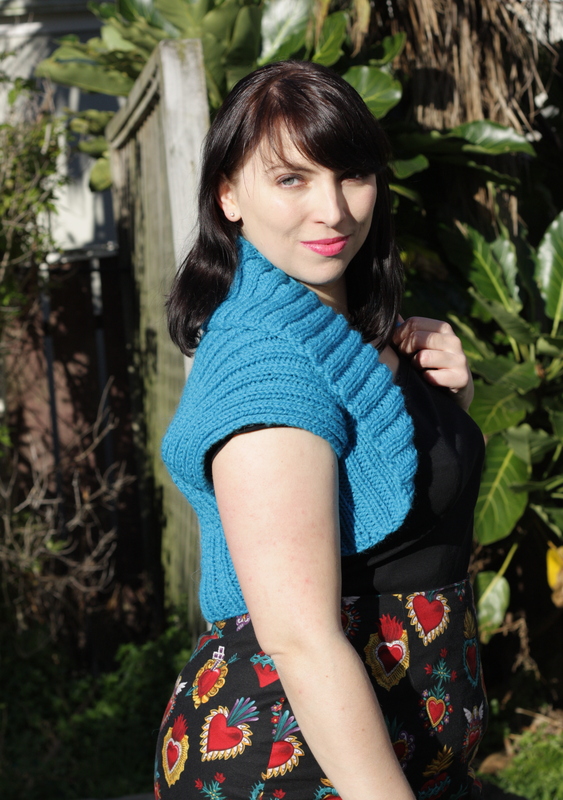 It’s shaped like a plus sign, +, when you’re done knitting. You cast on extra stitches part way through to make the arms of the plus, and then bind them off again after a few rows to go back to the original width. You fold the plus in half and seam up each side to make the garment, in an L shaped seam. The arms of the plus become the sleeves. The pattern is very simple follow and it works very well! If you follow it along it’ll make sense at the end! Good luck.